Small wineries need big ideas to help promote their carefully crafted vintage wares. Winemaps.com is helping to get their word out through its global social networking structure that reaches wine aficionados, and rookies, worldwide. Discover, Learn and Interact with Wineries around the world! Located in the rolling-hill wine country of rural Mendocino County, Nelson Family Vineyards is a small, family-owned operation that carefully turns out about 1,500 cases of wine a year, with no plans to increase the production of their pride and joy. Offering luscious bottles of Zinfandel, Cabernet and other varietals, one of winemaker Chris Nelson’s other day jobs is actually working the tasting room to keep the connection with his customers. Dad Greg Nelson and brother Tyler help to complete the winery’s executive team, but there is no marketing staff, slick distributor or full-page magazine ads to announce to the world that, well, this is pretty good stuff. Enter Winemaps.com, a global social networking website that allows wine lovers of all levels the opportunity to discover new places through the site’s recommendations on thousands of wineries, vineyards, wine bars and wine-related events throughout the world. Tiny Nelson Family Vineyards was one of the first wineries on board with the idea, which works 24/7 on getting the word out about their family’s operation. Nelson’s branded page contains an overview of the winery, hours of operation, photos and an opportunity for viewers to write a review. Also included on Winemaps.com is a candid Winemaker Profile on Chris Nelson. Winemaps.com also helps the Nelsons to promote on another level, through the site’s announcements of events that the wineries such as theirs will attend to self-pour and promote their products. The upcoming Taste of Mendocino, for example, is taking place in San Francisco on June 11, 2012, and is featured on Winemaps.com’s Wine Events Page. Hosted by the Mendocino Winegrape and Wine Commission in partnership with Visit Mendocino County, this unified event will encompass the promotion of regional producers and diversions as well as projects and educational elements that highlight the County's bounty. WineMaps.com is currently under private beta with over seven thousand winery locations around the world that can be used with their recommendation engine to help build your next wine adventure. Their private beta accounts also allow use of an AirBnB style booking engine to find that local stay. WineMaps free mobile app is the works as well where users can map out their own wine tour to share among their friends. There are over 90,000 wineries in the world – all-looking for the same thing – to reach more consumers! This is a no-cost solution for wineries to easily gain global exposure. For more information please visit http://www.winemaps.com or call (541)-WINEMAP. Join a Wine Club Today!Sign up for Nelson Family Vineyards Wine Club and get two shipments per year! 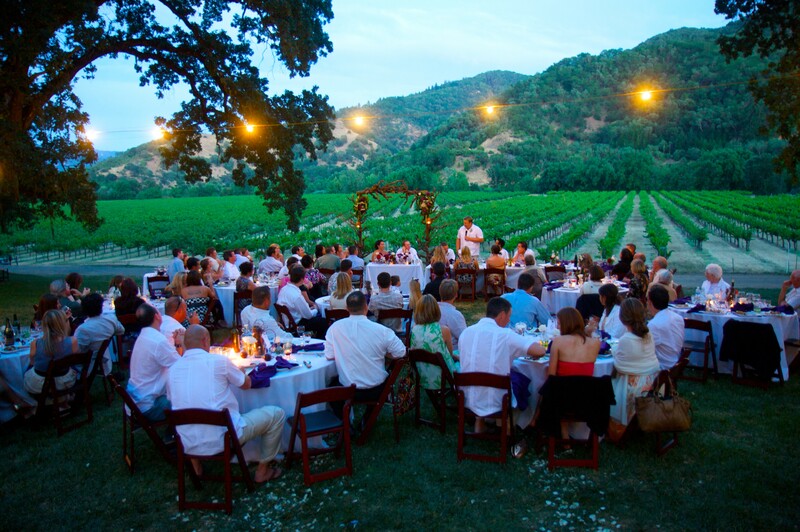 Nelson Family VineyardsMendocino County, California Host Weddings at Nelson Family VineyardsEvent Space at Nelson Family Vineyards is great for Weddings, Concerts and Outdoor Fun! WineMaps Upcoming Mobile AppA free winery discover tool is coming your way, stay tuned!